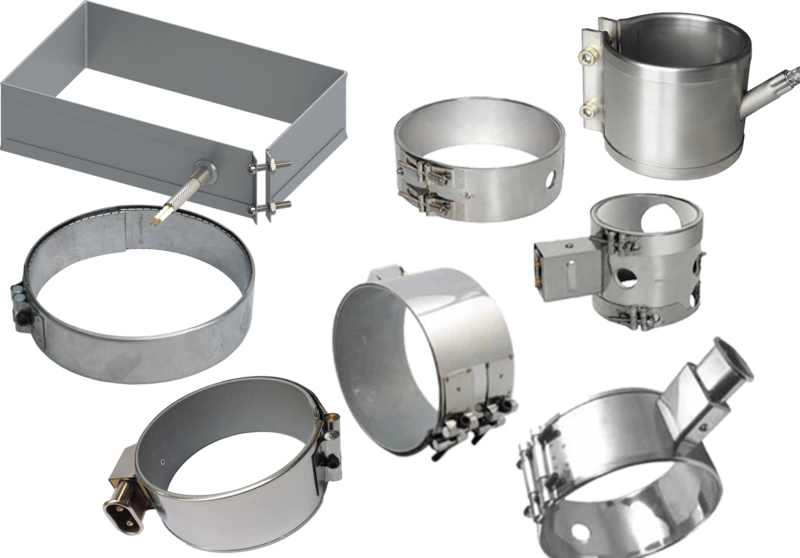 C eramic Band Heaters afford customers a means to heat large cylinders from intermediate to high temperatures of 870°C without concern of failures due to "Hot-Spotting" that conventional bands heaters are susceptible to when used on large diameter cylinders. Ceramic Bands integrate a layer of thermal insulation that reduces ambient heat loss and reduces power consumption. Up to 870C Band Operating Temp. M ica heaters are efficient and economical solutions to the heating requirements of many applications. 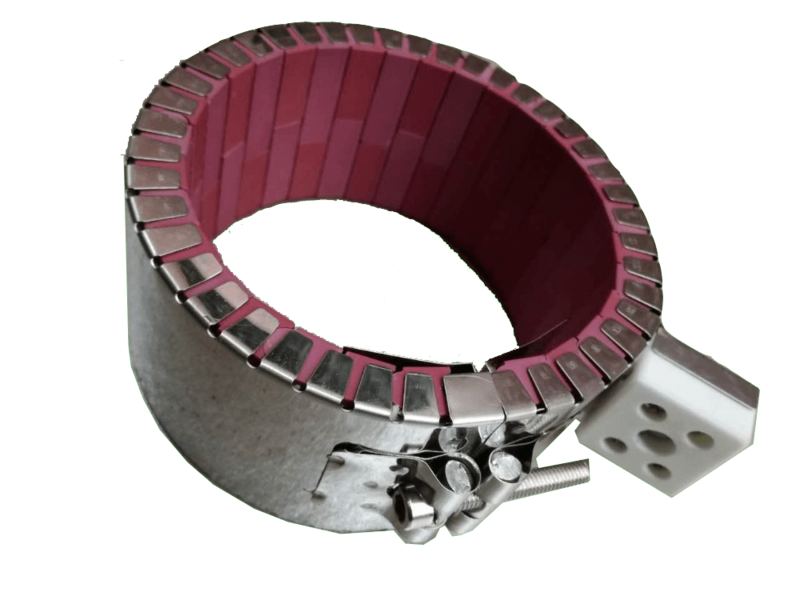 Mica heaters can attain a maximum sheath temperature of 480°C, but with different electrical termination styles, clamping mechanisms, and ability to accommodate holes and cutouts, mica band heaters are successfully used in many applications, but are mostly sought for in the plastics industry. C oil heaters feature continuous operating temperatures up to 649°C. Rapid heating and cooling occur, due to the low mass construction. 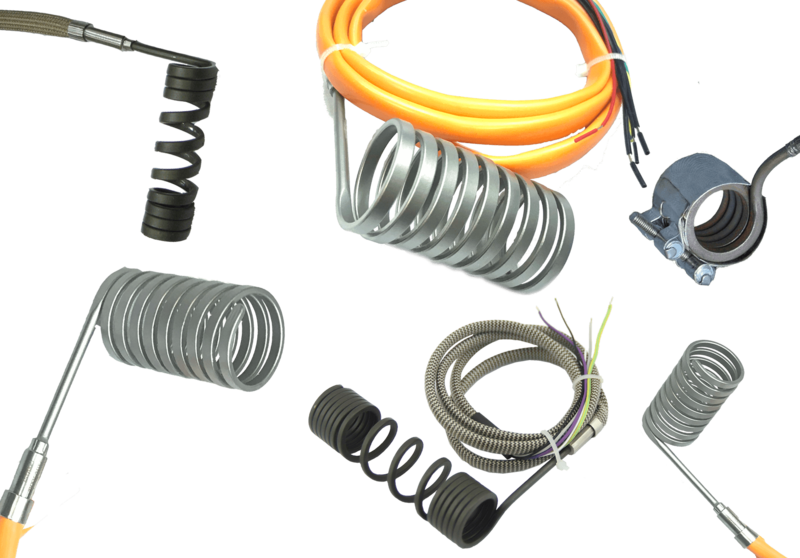 All heating elements are sealed from contamination and the stainless steel sheath provides maximum corrosion resistance. An optional internal thermocouple may be utilized for over temp control.